Ben Fountain joins us this week. 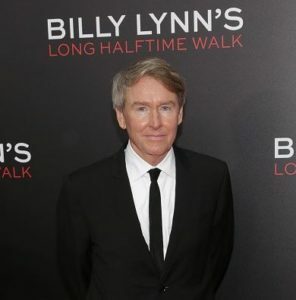 We’ll be talking about his award-winning book, BILLY LYNN’S LONG HALFTIME WALK. The movie based on the book was released last month by Sony Pictures. Writing on the Air is broadcast Wednesdays from 6-7 pm Central from the KOOP radio studios in Austin, Texas. To listen online, click HERE. We’re also on TuneIn, and we’re heard on Austin radio 91.7FM KOOP. We hope you’ll check out our previous episodes below. You can listen to the audios from each page, or head over iTunes for our podcast. For show updates, look us up on Facebook and Twitter. 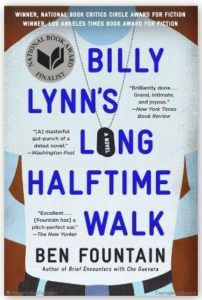 Ben Fountain‘s debut novel, BILLY LYNN’S LONG HALFTIME WALK (Harper Collins, 2012) is a New York Times best seller. It won the National Book Critics Circle Award for Fiction and the Los Angeles Times Book Award for Fiction. The book was also a finalist for the National Book Award, and runner-up for the Dayton Literary Peace Prize. Sony Pictures has turned BILLY LYNN’S LONG HALFTIME WALK into motion picture based on the book, directed by two-time Oscar winning director, Ang Lee. Ben has received many writing awards including a PEN/Hemingway award for his book, Brief Encounters with Che Guevara: Stories (Harper Collins, 2007). He is a two-time winner of the O. Henry Award and the Pushcart Prize, the Barnes & Noble Discover Award for Fiction, and a Whiting Writers’ Award. A member of the Texas Institute of Letters, Ben is a three-time winner of its Short Story Award. Ben holds a B.A. in English from the University of North Carolina at Chapel Hill and a law degree from the Duke University School of Law. His fiction has appeared in Harper’s, The Paris Review, Esquire Magazine, The Year’s Best, and Zoetrope: All Story. 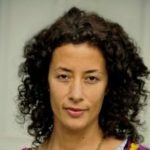 His nonfiction has appeared in The New York Times, Wall Street Journal, Texas Monthly, and The New York Times Sunday Magazine, among other publications, and his reportage on post-earthquake Haiti was broadcast nationally on the radio show This American Life. The Guardian recently published a series of his essays on the national political scene and U.S. presidential election. 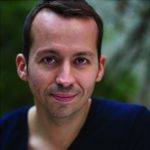 From 2014 – 2016, Ben was the University Chair in Creative Writing at Texas State University and this fall, he joined the Michener Center for Writers at the University of Texas as a visiting professor. He is soon returning to live in Dallas.